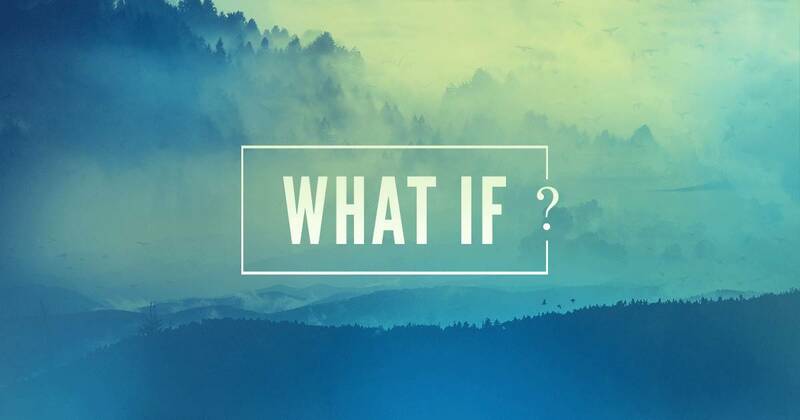 What if We Truly Believed? Happy Truthful Tuesday, wonderful people! Thank you for sticking with me through a bit of travel and busyness, but we are back in business! To be completely honest with you guys, I’ve been going through a season of spiritual stagnancy, and that can be a really hard thing to battle. If you’re reading this right now and you’re in that season, I would encourage you to not let it shake your belief- God is bigger than it all, and this season will end. And I really lived it? What if I believed, Christ in me? What if we truly believed that the power of God is living in us? Would you change how you act? Would you be bolder in your conversations? Would you sacrifice more of your time to serve others? If you truly believed that the Creator of the universe was in you and you could do mighty things, would you? It can be so so easy to accept God into your life, but to act like He’s not with you all the time. He’s living inside of you! Friends, this is so beautiful. What if you truly believed in His transformational power? What if we still had that child-like faith that still believed He could do anything? In the laughing, He’s in you. In the crying, He’s in you. In the tough conversations, He’s in you. Through the fear, He’s in you. When the devil is pulling on your heart, He’s in you. Here, Paul did not say “I live in a Christ-like way,” or, “I glorify Christ through my behavior.” No, he said, “Christ…lives in me,” clearly telling us that Christ lives in His believers. The Christian life is not a matter of behaving like Christ, but of allowing Christ Himself to live in and through us. I challenge you to live this week truly believing in Christ’s power. Man guys, imagine how we could impact the world for Christ’s kingdom if we all truly believed and acted in this truth. As always, have comments or questions? Head on over to the ‘Contact’ page- I’d love to talk! This week, I wanted to spend some time talking about dating. It seems like our society’s view of dating is constantly changing, and it’s always a good idea to realign ourselves with God’s vision for our relationships, whether you are in a relationship or a season of singleness, this post is for you. Here are my five tips for successful dating! When we love God with all of our heart first, loving others falls right into place. From loving Him, we are given patience, forgiveness, understanding, and much more. When you are constantly in the Word and in prayer, it radiates from you and translates into your relationships. So many examples of dating that our culture sets for us are dating for short-term satisfaction and are primarily about what the other person can do for you. This is so different from the beautiful examples God has given us. When Christians come together into a relationship, it’s only purpose is to glorify God. Men and women were created by God, in the image of God, for God. We are made to serve each other and work in perfect unity. It is so so important to set boundaries early in your relationship. Physical boundaries enforce the purpose of your relationship and ensure that you are both honoring each other in chasing God’s heart. For this is the will of God, your sanctification: that you abstain from sexual immorality; that each one of you knows how to control his own body in holiness and honor, not in the passion of lust like the Gentiles who do not know God. Love, joy, peace, patience, kindness, goodness, faithfulness, gentleness and self-control. These are the perfect recipe for a successful relationship of any kind. Let these radiate from you on a daily basis. 5. Remember That The Other Person isn’t Perfect and Neither are You! Be forgiving and understanding. You guys are going to make mistakes; what matters is how you come back from it. Strive to honor God above all else, and everything else will fall into place. Have comments or questions? Head on over to the ‘Contact’ page! It’s not promised to be easy, but it’s promised to be eternally worth it. It can be so easy to get upset at the little things. For me, it’s when there are no more clean leggings when I wake up in the morning, when I have a million things on my to-do list or when someone annoys me in one of my classes. Looking back on my day, how ashamed I am of letting these trivial inconveniences bother me. As followers of Christ, we are called to be slow to anger, but how often do I push this idea aside? 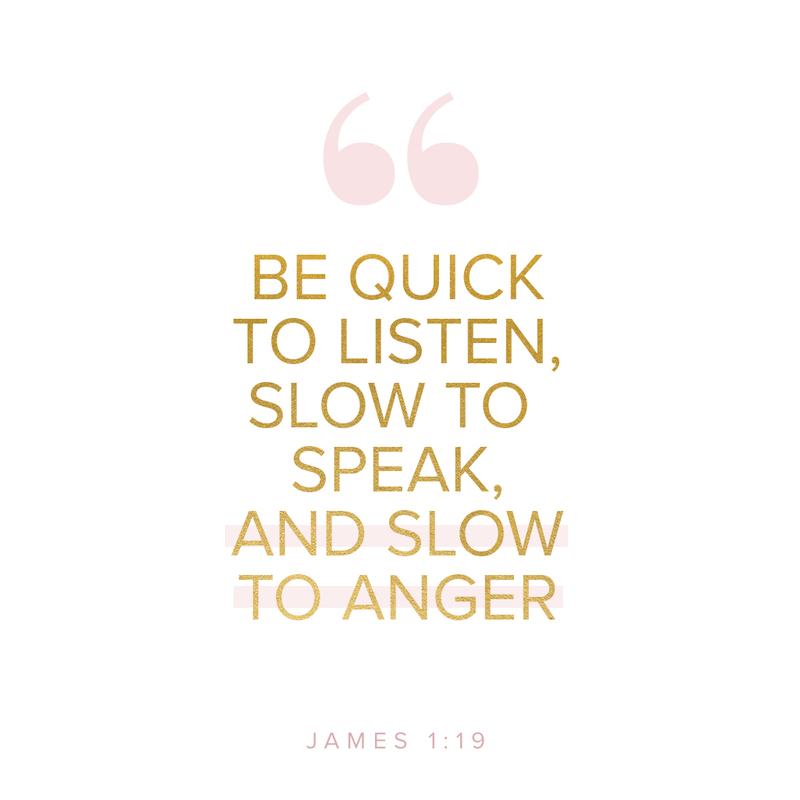 Know this, my beloved brothers: let every person be quick to hear, slow to speak and slow to anger. When we let Christ truly radiate from us, it changes our whole outlook. Suddenly, the things we look at as so bothersome don’t seem so bad anymore, and we are able to find joy and beauty in the little things. I encourage you this week to rejoice in each day the Lord has made. Every single second that we are on this earth is a gift and an opportunity. If it’s another person that makes you angry, bring it to God and ask for a change in heart. Instead of fighting back, try to listen first and speak after you understand where they are coming from. We do so many things that could cause God to be angry and give up on us, but instead, He gives us new mercies every morning. Let us show that same attitude to His creation. We are reflections of His love. How will people see a difference in us if we are quick to anger? This life is too precious to spend it upset at things that won’t last. Wake up each day and make a conscious decision to be joyful. You have the power to either let things get to you or roll right of your shoulders. The Lord created this earth and everything in it. Let us have an attitude of rejoicing instead of anger. This message really hits home for me, and it’s something I have to remind myself of every single day. I pray that you will all find success through prayer and conscious change. Have comments, questions, or just want to talk? Head on over to the ‘Contact’ page! Good morning and happy Truthful Tuesday! Today, I wanted to talk about a topic that my eyes were recently opened to at CROSS Conference. A big part of the conference was focused on prayer for the unreached, and that people would have a heart to send and go to these areas of the world. We did this before every session, and in the mornings, there was an extra opportunity for prayer. As the leaders were praying, they kept asking and thanking God for the opportunity to intercede on behalf of these people. While I know what the term means, and would have previously agreed that that’s what we were doing, it really got me thinking. Intercede: To intervene on behalf of another. First of all, then, I urge that supplications, prayers, intercessions, and thanksgivings be made for all people. Whenever you pray for other people, you are interceding on their behalf. How beautiful is this!? Let us not also forget that Jesus interceded for us on multiple occasions, praying to His Heavenly Father on our behalf (and, of course, preformed the most selfless act of intercession by dying on behalf of our sins). The very least we could do to say thank you is intercede on behalf of all the people He died to save. Part of living a Christ-like life is interceding on behalf on His people, and praying for those who do not yet know the goodness of Christ. This could be people across the world, but it could also be your friends, family, neighbors and coworkers. Your prayer is in God’s will, and He is using all of us to carry out His divine plan. What a privilege it is to be a part of that. God says, let it never be a lack of asking that you do not receive. Our God is a big God, and He can do more than you could ever fathom. Are you asking Him for miracles daily? It’s an area of my prayer life that I sure need to work on, and I doubt that I’m alone in that. How is your today affecting the tomorrows of people that don’t know Christ? I want to talk about the verses above for a second. This is a story in the gospel Luke about a man who descends to Hell after his death on earth. When he gets there, after living a life of unbelief, he realizes the magnitude and realness of God, and begs Abraham to send Lazarus to warn the rest of his family. Friends, this is a reality. If the unbelieving dead could talk, they would beg us with all they have to tell their family and friends. You have the amazing ability in your prayer life to intercede for the people that have not yet placed their faith in Jesus Christ. Will you live like Christ and do it? Have questions, comments or just want to talk? Head on over to the ‘Contact’ page! The body of a Christ is a community, so share this post with someone! Below, I have linked a song that I believe covers some of the heart of what this topic is about, so give it a listen! I hope you are all staying warm and safe with this huge storm hitting the Midwest! This week, I wanted to take the time to share something with you guys that’s been a little heavy on my heart lately. I think that it can be very easy for us- myself included -to see some sins as worse than others. We think that our sin isn’t that bad because maybe we didn’t murder somebody, or cheat on our significant other, or whatever the case, and it leads us to elevate ourselves as better than the people that have done these “worse sins”. Friends, this is so far from the truth. Every sin is equal. We are all equally separated from God by our sin. Just because maybe our sin is private, while other’s is public, God knows our hearts, and He doesn’t show favoritism- He loves us all the same, despite of what we’ve done. I really don’t mean for this to be such a downer of a post, but I think that a heart-check is in order for us all, and it can’t always be sugar-coated with extra fluffy stuff to make us feel better about ourselves, because that’s not always the truth of the Bible. Sins are not just the things that we look at as “big and bad”. Sometimes it happens in your heart just between you and God. What if you had to tell your closest friends all about your sin? I’m sure they could do their fair share of judging. Please let this truth humble you. Let us not look at others as worse than us just because their sin has been made known to you. 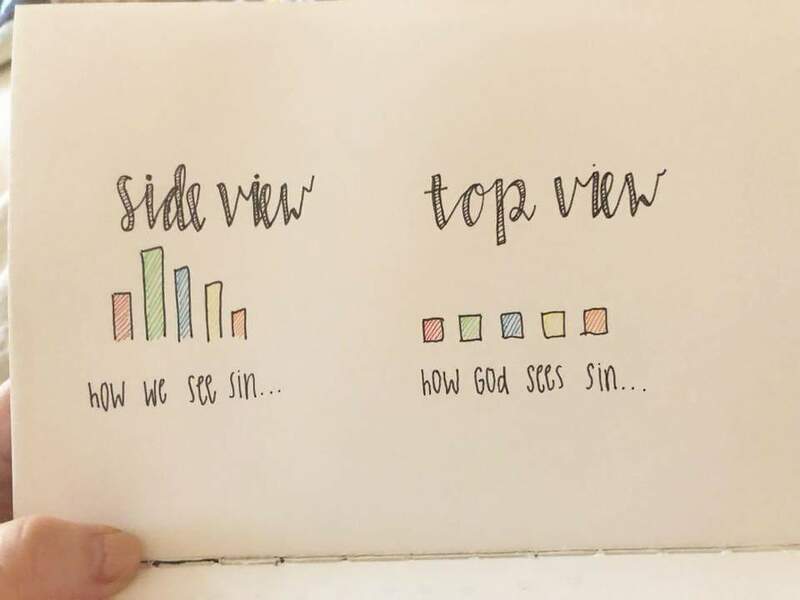 When we look at sin, we tend to see a bar graph where we rate our own opinions of “badness” of sins. When God looks down from Heaven, He doesn’t see the manmade bars, He sees us all as equal, because we are all created in His image. Thank God that sin isn’t the end of our story! God sent His beautiful and sinless Son to earth in the form of a human to die for every single sin. Every single sin. The sin of me, the sin of you, and the sin of ‘them’. None of us would earn Heaven by ourselves, we would all fall short of the glory of God. What a beautiful gift of grace He has offered to every single one of us. Go love each other. Go serve humbly, knowing that you didn’t earn anything yourself. Go and make disciples. Have questions, comments, or just want to talk? Head on over to the ‘Contact’ page, and let me know what’s on your mind! We are not promised that our walk in faith with be easy or without controversy. This is one of those moments to take a step back and do a heart-check to see if you’re truly living out the gospel truth of love. Welcome to another Wishful Wednesday- wishing I had gotten the blog out on Truthful Tuesday! With this week being my first back to school, things have been a little busy! This post, I wanted to talk about something that I feel can be easily overlooked in our walk in faith- spending our money biblically. Myself included, it can be so easy to not consider our money relevant to the Christian Life, but it’s one of the biggest resources we have, and it’s all God’s. As we look into how to spend our money biblically, there are many aspects. First, tithing. Everything we have is God’s- period. We didn’t earn our money by ourselves, we earned it by His grace. Anything you have, He has given. Tithing is a great first step to look at if you don’t know where to start. If you don’t know what this means, tithing is giving an amount of your earning to growing God’s kingdom. This could look like putting a percentage of your income into the offering basket every month, giving it to a Bible translation, supporting a child, etc. After all, if it’s not for the glory of God, what’s it all for? One great tactic that I have been using lately is a money journal. It’s nothing special, but in a notebook, I write down every transaction that I earn and spend. I save every receipt, so nothing is ever lost, and everything has to be justified. This really has helped me see where my money is going. Before, it was so easy to just swipe my card and not think about it. At the end of each month, I total the amount and percentage that has gone to each category (gas, groceries, Kingdom, could’ve been avoided). It’s crazy humbling to see how much of your money actually went towards the Kingdom. Having money/earning your maximum potential is not bad! One thing that was said on a panel at CROSS Conference that really stuck with me was a quote by Thabiti Anyabwile. Now I am paraphrasing, but he said to go and make as much as you can and use it all for the glory of God. It’s all about how you spend it, so please don’t misread what I wrote. Work hard, earn what you can, and give back to God. Have comments, questions, or just want to talk? Head on over to the ‘Contact’ page! This is process of continual learning and sacrifice, and I sure don’t claim to have it all figured out. My prayer is that I can help you and help myself with what I do know to be biblically true. This past week, I had an amazing opportunity to attend the CROSS ’19 conference in Louisville, Kentucky. The conference was primarily focused on missions, and reaching the unreached people of this earth. Every word spoken was beautiful and awakening, and I will probably be mentioning my experiences there for a long, long time. While I was there, my internal debate with social media was heightened. I continually go back and forth between whether I should delete all my social media so I don’t focus as much time and attention on worldly things, or if I should keep it all and use it as a platform to share my faith. So here’s what I left with: what if you used your social media as a platform for prayer? What if every picture and post you scrolled past, you prayed for that person? Imagine the change we could make. Our God is an active and listening God, and we have the chance to intercede in prayer for every single person that we interact with, and that includes social media. What if you used your social media as a platform to share your faith? What if instead of making yourself look good and put together all the time, you shared the gospel? Your social media is earthly, and very bluntly put, the only thing that matters is how you love God and show others that love. This all being said, if social media has become an idol for you, delete it. There’s no time to waste in pursuit of God’s heart. But if you feel like me, just kind of this emptiness of scrolling for no heavenly reason, pray for every person if every post you pass. Maybe this means going on just once a day. There’s a different answer for everyone, but I encourage you to truly pray and consider your purpose and role in using social media. For me, this looks like not using the Instagram account anymore that I created for my blog. Though my intention was to share God’s love, it turned into me trying to make my pictures look aesthetic, and putting my faith in a separate box from my personal life. It also looks like me using my accounts as a platform for prayer and praying for every post I pass. If you have questions or would like to talk more about this and faith in general, head over to the ‘Contact’ page, and let’s talk! Faith is a life-changing opportunity, not a convenient addition to the life you’ve already built.